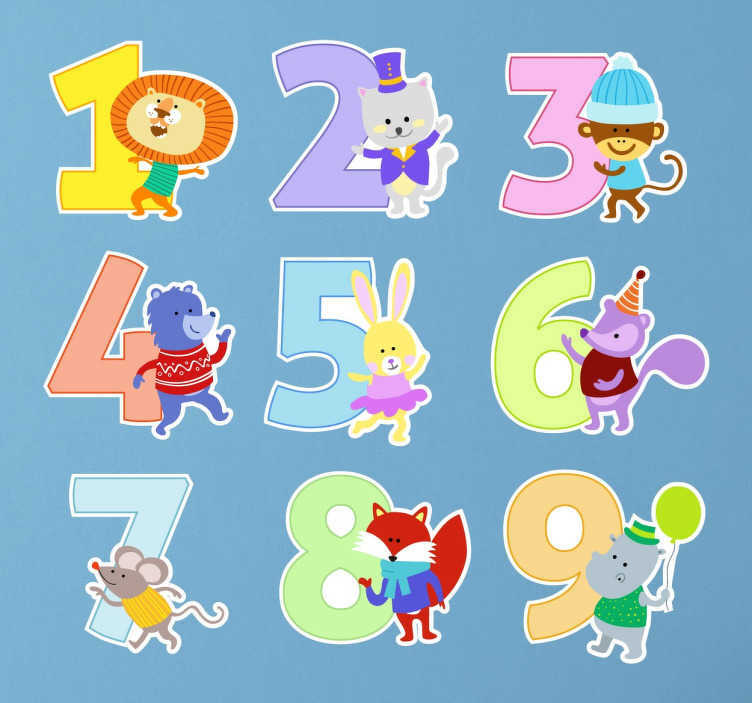 Stickers for children with the numbers 1 to 9 accompanied by fun animals. Fantastic to decorate your child´s room. 1 for the lion . 2 for the funny cat, 3 for the chimpanzee, there is also a rabbit, a mouse, a fox, hippo ... We present a variety of wildlife illustrated for the little ones at home. Especially designed for your children. They can have fun and learn placing these stickers anywhere in their room or playroom. Easy to apply and remove with anti-bubble vinyl.